248 pages | 1 B/W Illus. The Sino-Russian relationship has experienced several permutations in recent decades as both states have undergone radical domestic changes, including the end of Soviet communism and the abandonment of Maoism. This volume brings together scholars to address the current status of Sino-Russian relations in the political, military, energy and trade sectors. 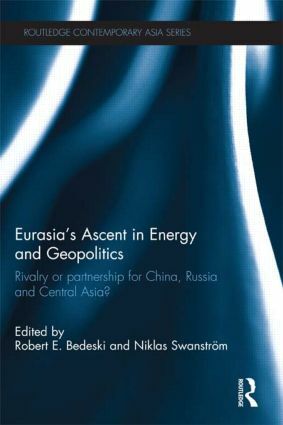 In this comprehensive new volume, authors offer a detailed account on the both the historical context and current status of relations between Russia and China and the geo-political realignments in Eurasia. This analysis of the evolving relationship addresses global strategy, energy politics, national security, human security, and Central Asian links. Individual chapters examine key issues such as China’s economic ascendancy, military relations, the geostrategic position of Mongolia, Japan’s views and historical background. With authors representing a broad range of current active experts and researchers working in Europe, the US, Central Asia, China and Japan, this book offers a long-term and in-depth analysis of the relations and potential developments in both bilateral and international relations. This work will be of great interest to scholars of international relations, Asian security, and the Eurasian region. Robert E. Bedeski is Professor Emeritus in the Department of Political Science, University of Victoria, Canada. Niklas Swanström is Director of the Institute for Security and Development Policy, A think-tank based in Sweden, and a research fellow at SAIS.